If you’re like most people, TV programming is a major part of your life. According to some of the latest statistics, the average American spends four hours per day watching their favorite television programs. Over the span of your life, you’ll have spent about nine years in front of your television. With such a large amount of time spent watching television programs, it’s important to make sure that you’re receiving a high-quality signal. If you live a long distance away from a broadcasting station, then you might need one of the best long range TV antennas to get a reliable signal. A long-range TV antenna can help you get a great signal and reduce the amount of time spent looking at a fuzzy TV screen. The problem with most of the antennas that you can buy from a local retailer is the size. Most standard antennas aren’t suitable for picking up signals from a long distance. To find the best antenna for your needs, find out if you need VHF or UHF. These are the two major broadcasting bands, and you’ll find that many of the newest TV antennas are equipped to handle both bands. You can check the digital channels for your areas and find out what broadcasting format they use. It’s also important to decide if you need a multi-directional or unidirectional antenna. If you live in a rural area, there is a good chance that you’ll need a multi-directional antenna, which can be pointed in several different directions. When most of the channels in your area are coming from sources that are very close to each other, a unidirectional antenna should work well. Below, you’ll find reviews for some of the best long-range TV antennas and best outdoor TV antennas available on the market today. 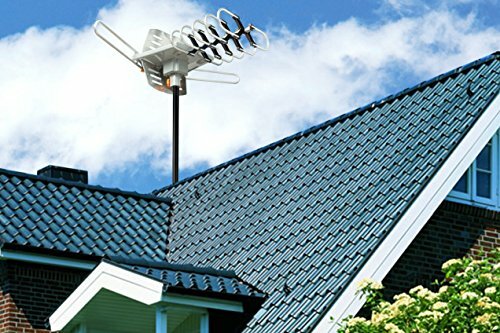 The 1PLUS HDTV Antenna, probably one of the best outdoor tv antennas, can be used outdoors and installed on your roof. With a range of 150 miles, it can grab digital television programming from distant sources, and you can use it to obtain free HD TV signals. The 1PLUS antenna is equipped to deliver full HDTV support, and it’s compatible with 720p, 1080i and 1080p. When used for the VHF frequency, it operates between 40 and 300 MHz, and for the UHF frequency, it operates between 470 and 890MHz. Since it features water-resistant construction, you can install it on your roof, and for your personal convenience, it comes with a wireless remote controller. It has a built-in high-gain amplifier, and a motor rotates the antenna 360 degrees. To avoid tangles, the motor rotates in both directions. The 1PLUS amplified antenna also comes with a control box, but you’ll need to purchase a pole for proper installation. 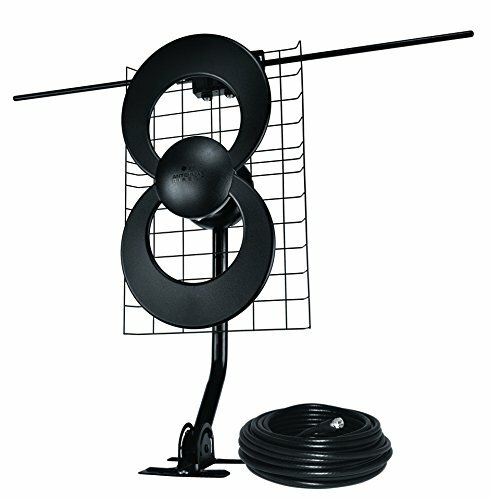 Another popular long-range TV antenna is the Xtreme Signal HDTV antenna. Since it features a high-gain design, it’s able to pick up UHF signals from 70 miles. For high-band VHF signals, it works at 25 miles. 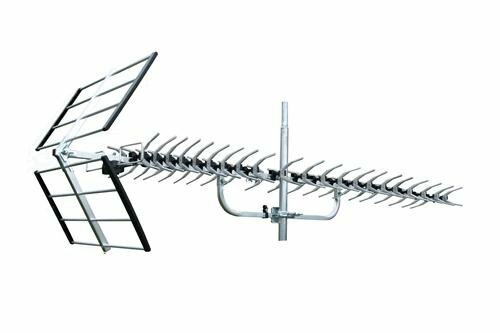 If you’d like to get as many free HD broadcasting channels as possible, this antenna is worth considering. It comes with the mounting hardware needed for a sturdy installation and can be used with masts that have an outer diameter of 1.6 inches or smaller. If the need arises, you can adjust the antenna angle, and it has a built-in transformer, which is ideal for a direct 75 OHM or coaxial connection. A strong back reflector helps to reduce interference and provides a better overall signal. 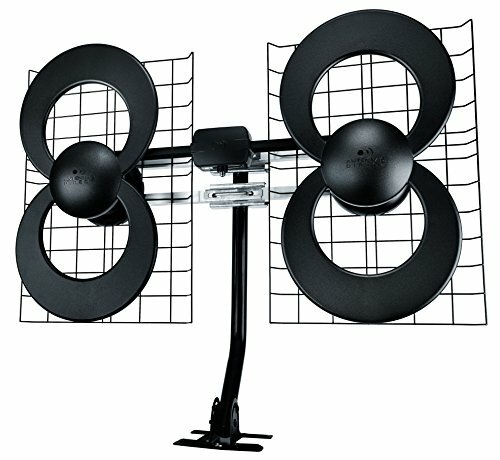 The Xtreme Signal HDTV antenna is backed by a six-month limited warranty. Here we have another top antenna from Xtreme Signal. The HDB8X-NI features heavy-duty mounting hardware, which helps to keep it secure from extreme weather conditions. With the large size of the antenna, it can pick up several different broadcasting signals from a distance of 70 miles. Once it has been fully assembled, this antenna has a length of 3.5 inches, height of 32 inches and the width sits at 47 inches. For exceptional long-range reception, the Xtreme Signal HDB8X-NI is made with omni-directional plates allowing you to point each side in different directions to pick up signal from two different markets. It also comes with the hardware needed for proper mounting. The HDB8X-NI also includes a 75 OHM matching transformer. To get the strongest signal, you need a large antenna, and the HDB8X-NI offers plenty of size. This antenna can pick up VHF and UHF signals, and it’s particularly useful for people who live behind hills or mountains. 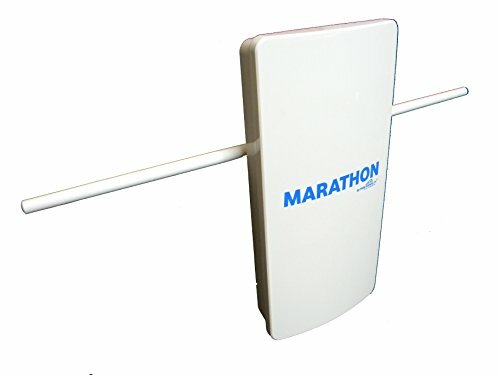 The Marathon HDTV antenna is different because it can be used indoors or outdoors. If you’d like to receive broadcasting for your entire home, this is one of the best long-range antennas that money can buy. 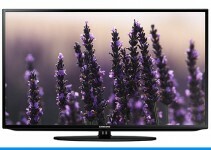 It can eliminate the cost of satellite and cable services and features a sleek, advanced design. The Marathon HDTV antenna offers a powerful 40 dBi of gain, and the noise ratio is less than 3.5 dB of gain. If you’d like to avoid purchasing several long-range antennas for your home, then this product is worth considering. It uses a simple connection and can bring in broadcasting from 100 miles away. With powerful amplification, it’s able to deliver HD broadcasting to four different televisions. 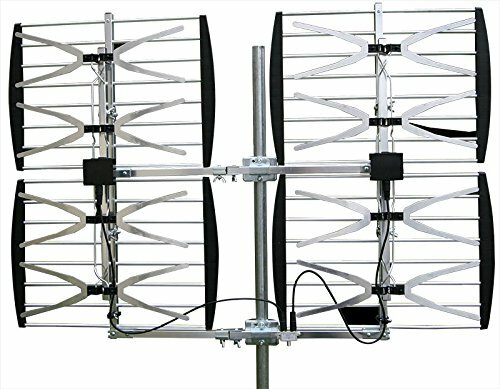 The Marathon HDTV antenna has the latest circuitry and engineering, which allows it to capture long-range signals that many other antennas can’t detect. Another top pick is the Channel Master CM-4228HD antenna. It can tune into signals wiht a mulit-directional 180 degree span and pick up HDTV, VHF and UHF signals. It can even pick up several other types of digital signals. With its 80 milre range, this antenna can be used anywhere, but is ideal if you live in a fringe or metropolitan area. With a heavy-duty 8 bay, phased array design and intelligent shape, the entire antenna is sealed against harsh weather elements. The installation process is designed to be easy, safe and fast either in the attic or directly on the roof. The Channel Master CM-4228HD multi-directional antenna is one of the best long-range antennas on the market because it offers great range. The total size of an antenna has the greatest impact on its effectiveness, and the Channel Master CM-4228HD is large enough to capture most channels without the need for rotation. Here we have an HDTV antenna that picks up broadcasting signals from a range of 70 miles. Once it has been installed, this antenna will allow you to watch free HD broadcasting, which is available from a variety of networks. You can use it to get free channels from PBS, FOX, CW, NBC, CBS and ABC. Depending on your location, these stations might be available in 1080p HD. With a multi-purpose arrangement, the 8 Element Bowtie antenna is flexible and can be installed easily. It works well in areas where broadcasting signals are coming from several different directions. It includes a DB8e antenna and comes with all-weather mounting hardware. You’ll need to purchase the coaxial cable and mount separately. A lifetime warranty is provided for all the parts of the antenna. 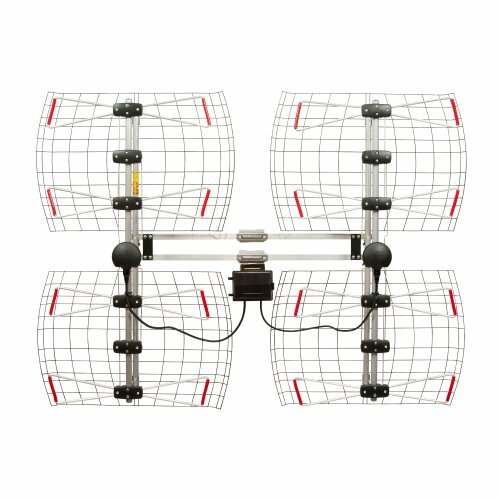 The ClearStream 2V HDTV antenna can grab broadcasting signals that are 60 miles away, and it’s one of the best products in its category. If you decide to purchase this antenna, you should be able to get broadcasting signals from most well-known stations. Many stations are available in full 1080p HD. The ClearStream 2V antenna is equipped with dedicated VHF and UHF multi-directional elements, and it can pick up great reception in areas that are less than ideal for TV programming. It comes with a 30-foot coaxial cable, 20-inch mount, installation hardware and antenna. The 1byone Amplified HDTV antenna isn’t nearly as powerful as some of the other long-range products, but it’s good enough to receive TV programming from a long distance. You can use this antenna to grab all the local sports, kids, sitcom and news stations in your area and watch your favorite programming in HD. Although this antenna is quite small, it delivers exceptional performance. 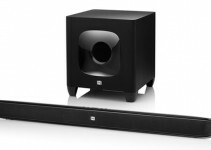 With a lightweight, soft design, it can be used indoors and hidden behind your television. With a 10-foot cord, you can place it in an ideal location and get the best reception possible. 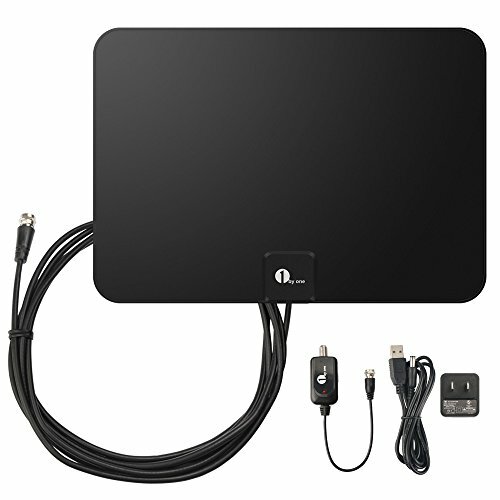 The ClearStream 4 Indoor Outdoor HDTV antenna is like the other ClearStream product on this list, but it delivers an additional range of 10 miles. When compared with most other antennas that have a range of 70 miles, this product provides superior performance, and it can receive broadcasting signals from all the major networks. Since it uses multi-directional elements, it’s able to grab signals from every direction. It’s an excellent choice for people who live in a rural area and comes with the mounting hardware needed for the installation. However, if you want to install this antenna outside, then you’ll need to purchase a mount and coaxial cable separately. The HotCat HDTV antenna is very affordable and offers great range. With a range of up to 120 miles, this antenna will grab all broadcasting signals available. 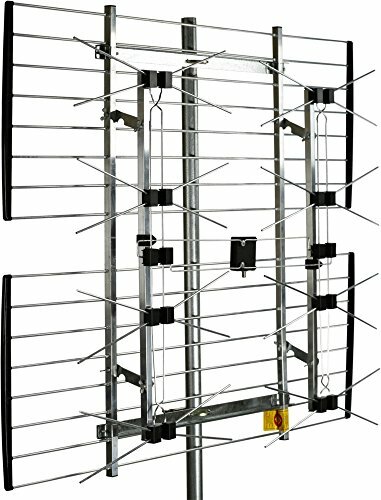 If you’d like to get rid of cable and need a way to get access to HD broadcasting, this antenna is worth considering. 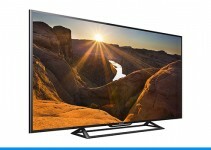 It offers full support for HDTV signals, which is great for 720p, 1080i and 1080p, as well as 4K. The antenna rotates 360 degrees, so it’s capable of picking up most broadcasting signals. Once installed on the roof or attic and connected to your television, the HotCat HDTV antenna will beam down free HD programming.